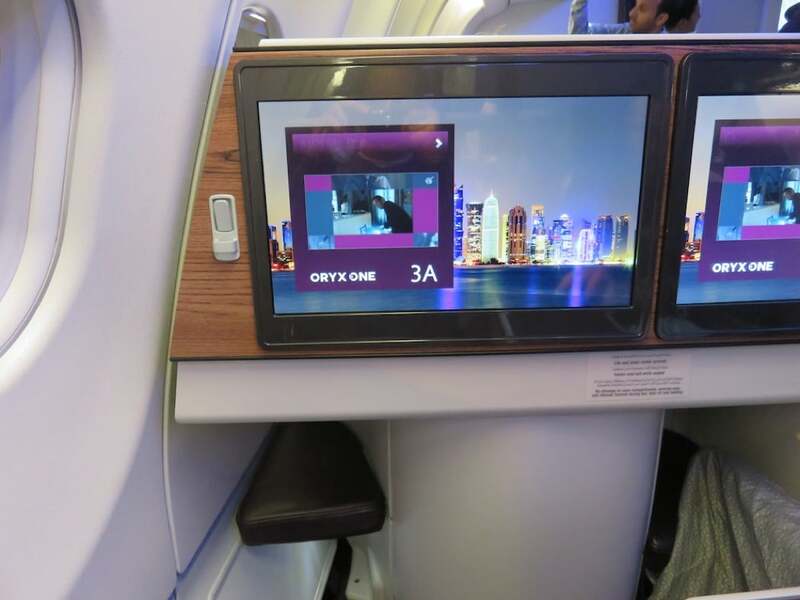 In this trip report I flew Business Class in an Airbus A330-300 of Qatar Airways (QA) from Hamad International Airport (DOH) in Qatar to Male International Airport (MLE), in the Maldives. 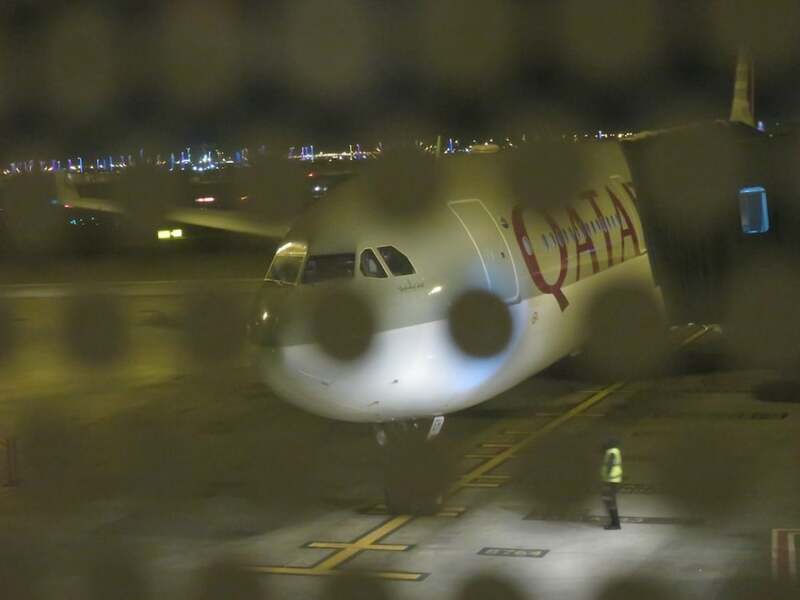 The previous flight on Qatar Airways from Brussels to Doha was operated by a QA Boeing. 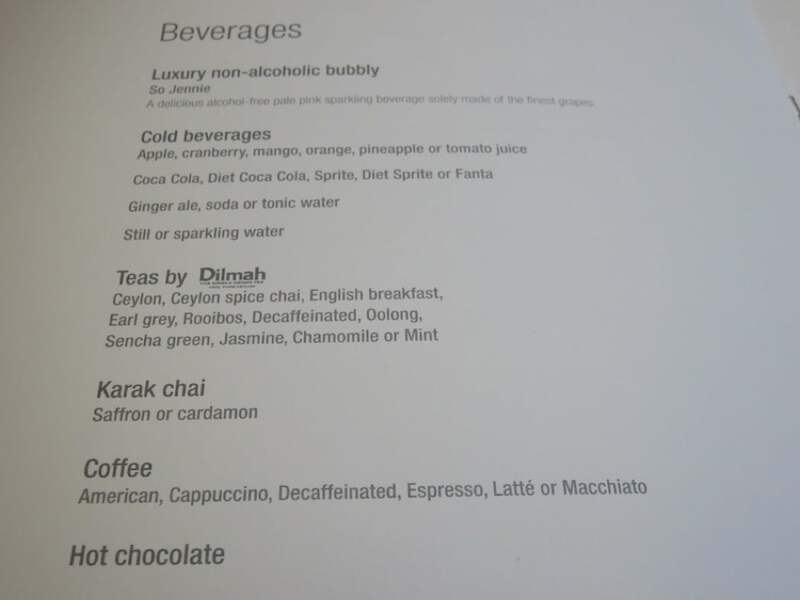 I have also previously reviewed Qatar Airways Business Class on Boeing 777-300ER, along with a previous trip from Brussels to Doha which was also flown in Business Class on a Boeing 787 Dreamliner and also First on the Qatar A380. 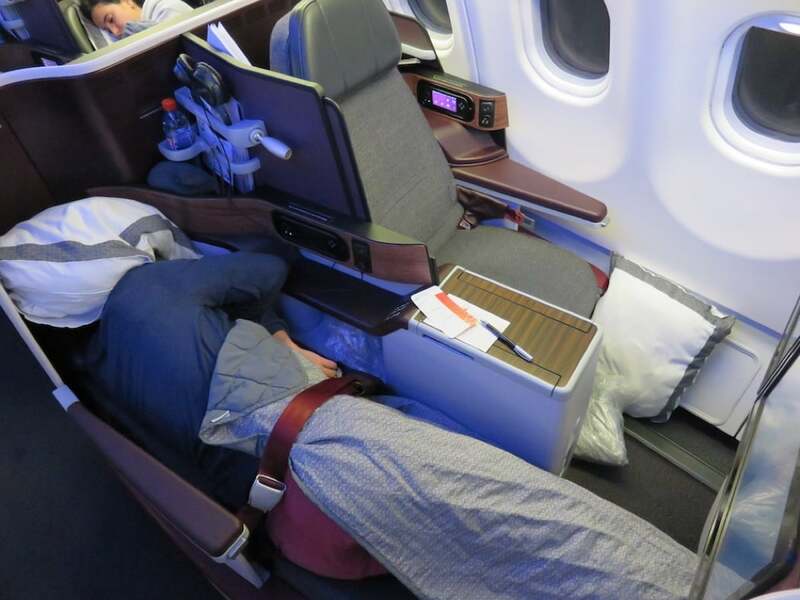 Qatar Airways offers several types of Business Class products on its A330 fleet, with some aircraft featuring the old seats (that don’t fully recline) and some other featuring the updated product (with fully flat-bed seats). This particular flight was flown by an A330 featuring the newer product, but although quite comfortable, QA’s A330 Business Class product is inferior to the one it offers on its A350, B787 and A380 planes. 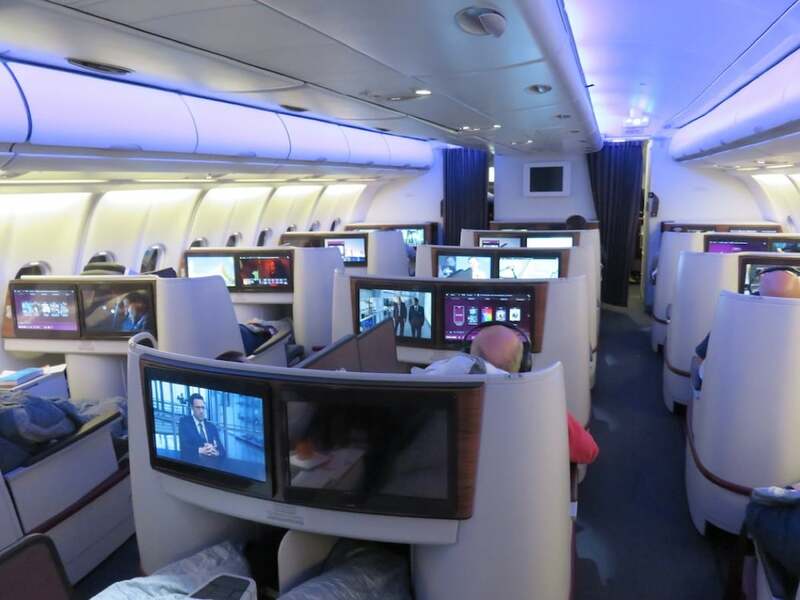 The new Qatar Airways QSuite will be rolled out across most of its fleet (starting with the B777), so in the near future, the inferior A330 Business Class seats will be gradually phased out. Pre-flight I experienced Qatar Airway’s Al Mourjan Business Lounge. It simply outclasses all the competition in airport lounge experiences. 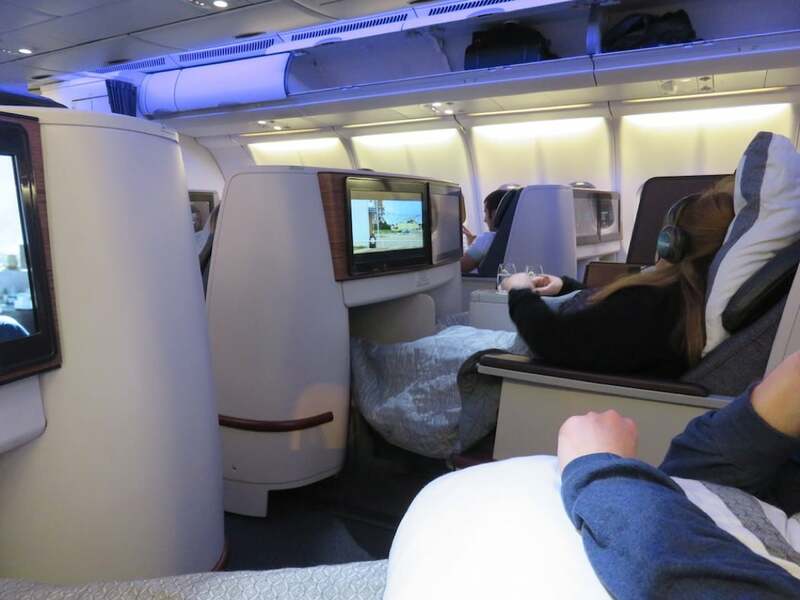 This flight was operated by a two cabin A330-300, seating 30 passengers in Business Class (featuring the newer product) and 275 in Economy Class. 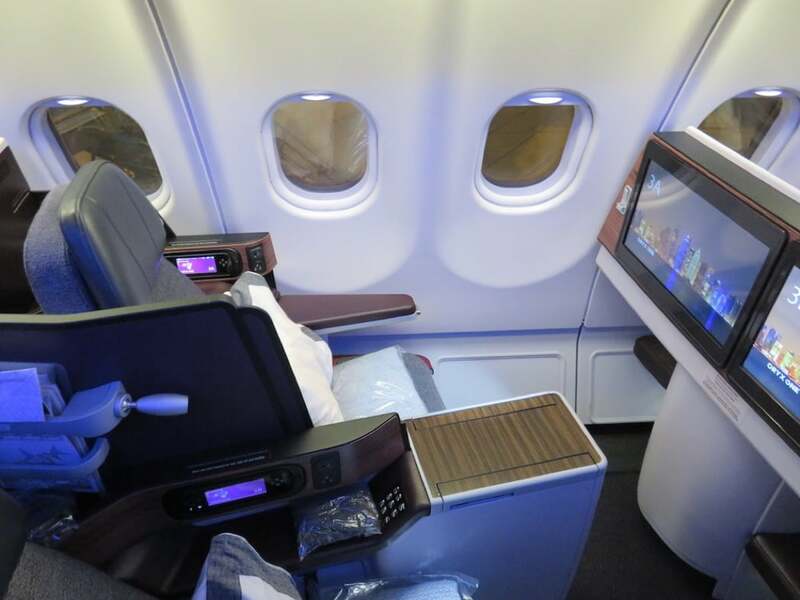 The Business Class cabin on the A330 makes a chic first impression, with dark grey seat covers, wood trimmed decor touches, and QA’s signature purple colour displayed on the entertainment screens. 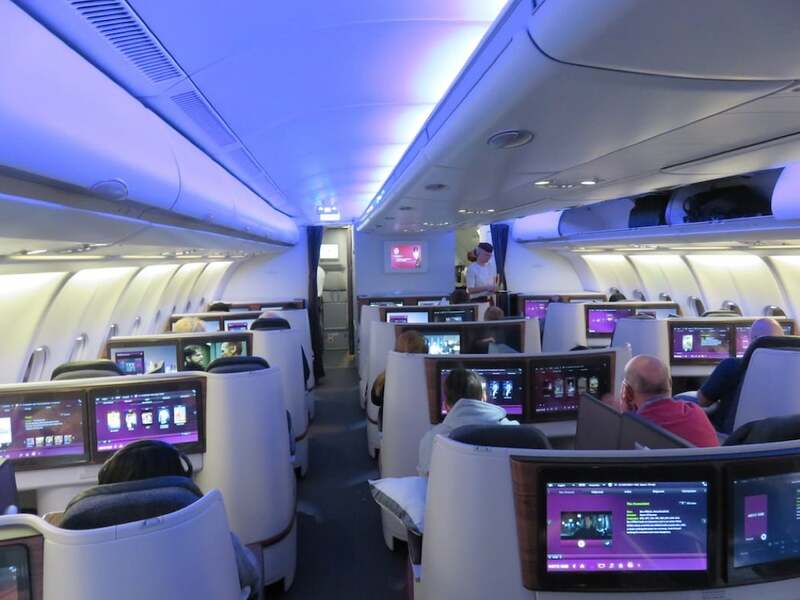 Nevertheless, its design and layout is inferior to the Business Class product offered on QA’s A350s, A380s and B787s (and it doesn’t offer an onboard bar). The plane featured 5 rows of 30 fully flat-bed seats placed in a classic 2-2-2 configuration in one single Business Class cabin. All seats faced forward and had aisle access, except for the window seats (on these you had to climb over the legs of your neighbour to get to the aisle). See the seat map of this version of QA’s A330. The Qatar Airways 330 Business Class seat has a pitch of 60 inches (152 cm) and a width of 21 inches (53 cm). One arm rest features the seat controls and also houses the moderately sized tray table which needs to be pulled out for any use. Below the large entertainment screen in front of the seat, is a small compartment with narrow ottoman for your feet (or legs when you transform the seat into a bed). On the other side of the seat, behind the headrest, is a small compartment, where you find the headphones and the remote control for the entertainment system. The seat does go fully flat, but while the seat itself is wide the footrest is very narrow, so it’s not very comfortable for a good night’s rest. 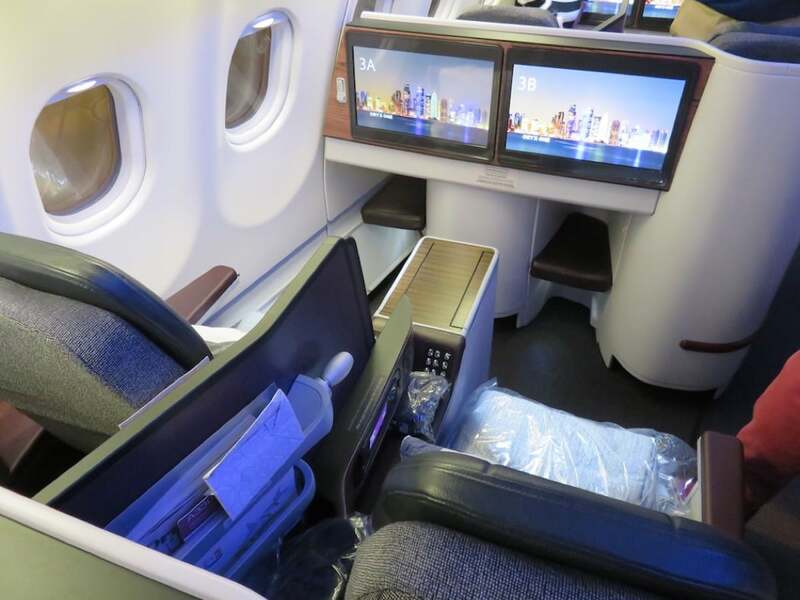 What are the best Business Class seats on QA’s A330-300? 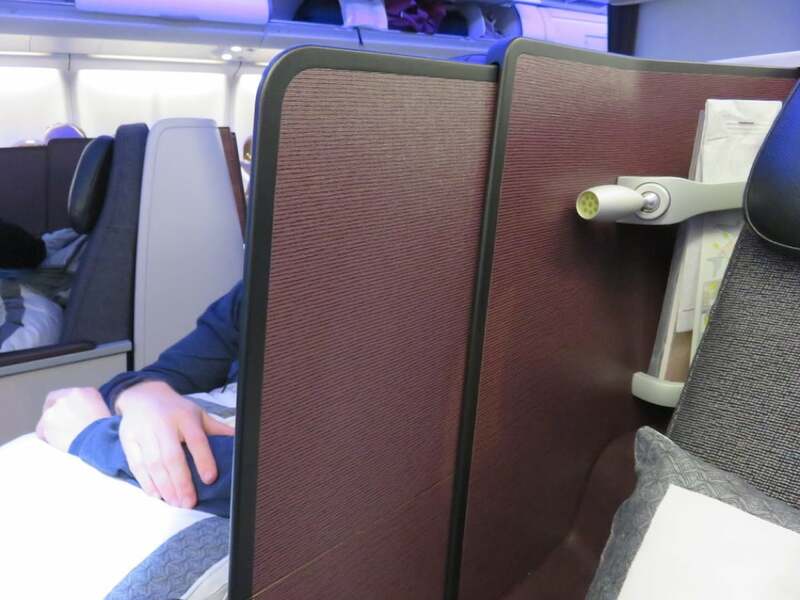 What are the worst Business Class seats on QA’s A330-300? The 2-2-2 Business Class layout does not make the cabin very attractive for solo travellers, since you will always end up sitting next to a stranger. There is a screen though between adjoining seats for added privacy. Window seats don’t offer direct aisle access. I also suggest to avoid the last row of Business Class, which is close to the Economy bassinet seats. Window seats in the last row are missing a window. For this short flight to Male, Business Class passengers were given a light blanket, a thick pillow, and a small, Economy-like amenity kit containing essentials such as earplugs, eyeshades and socks. QA’s famous Armani amenity kits are only handed out on medium- and longhaul flights, and you can read more on that in my Qatar Airways B787 trip report. Upon boarding, I was offered a choice of hot or cold towel, and a glass of Champagne, orange juice, water, or QA’s signature drank, lemon mint. I choose the latter and IMHO, this is the best welcome drink offered by any airline in the world. Greek yoghurt with mixed berry, granola and nuts. Traditional Arabic breakfast, with feta cheese, cucumber, tomato and green olives, served with foul medames and arabic bread. 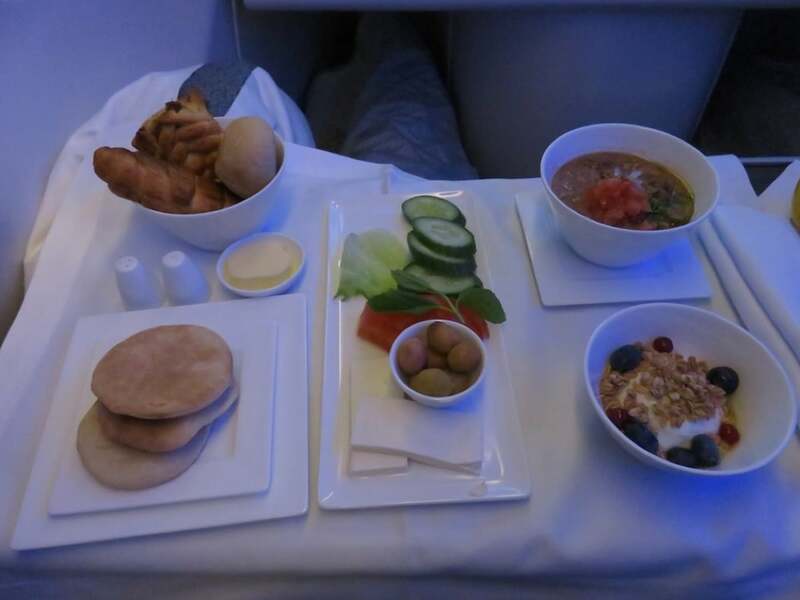 If you enjoyed this review you may be interested in my other Qatar Airways Business Class flight reviews and my review of Emirates vs Etihad vs Qatar Airways: Best Airline In The Middle East.